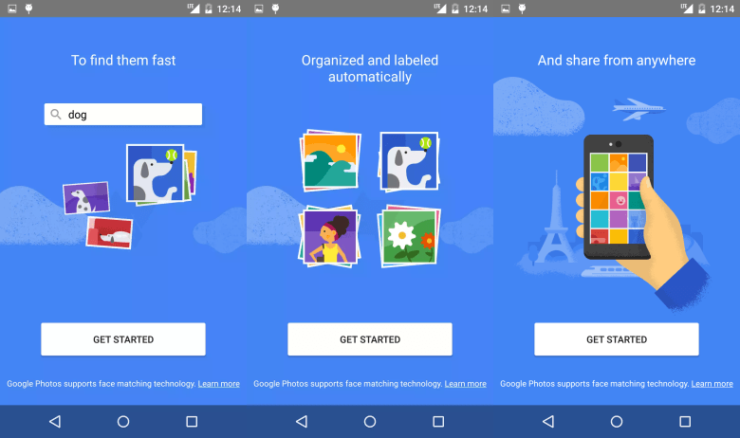 A few days left for Google’s I/O 2015 event and a pack of images have surfaced the internet that shows Google’s Photo App and its features. 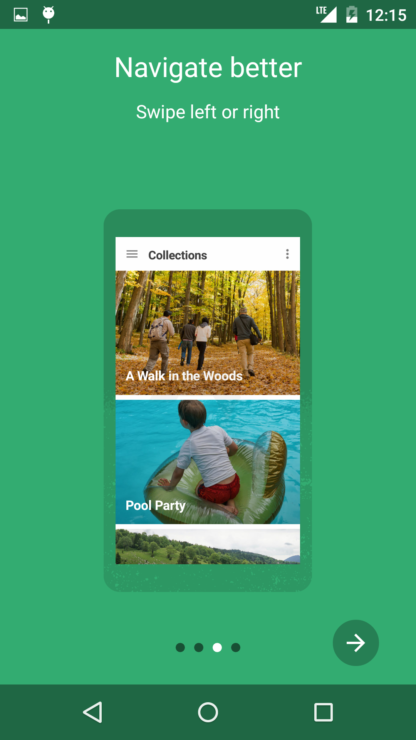 The current leaked images of Google’s Photo Apps are kind of previews to the Android M version released just days before the announcement. It is expected that Google will announce its new version of mobile OS with a code name Android M and it seems the Photos App has a major contribution to pay. 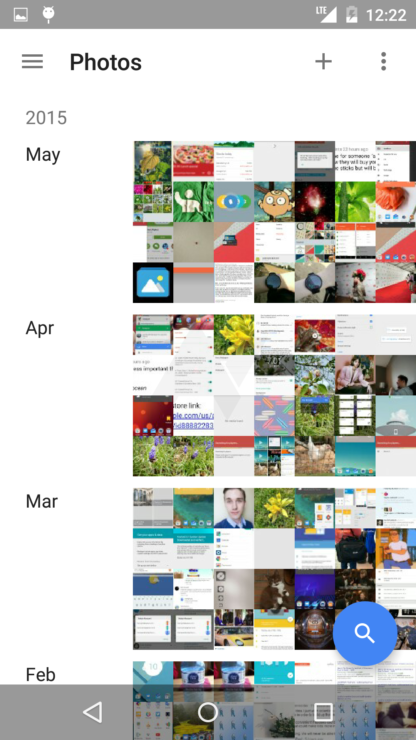 The exclusivity of an early look shows the splitting of Photos App from Google long sign in platform. We have been hearing rumors about it for a long while and it seems its finally happening. There are lot of changes introduced in the Photos App, ranging from general photo management to dynamic interactions while viewing your photos. When you launch the Photo’s application, you see a clean swirling Photo’s App logo or a pinwheel of what it is. 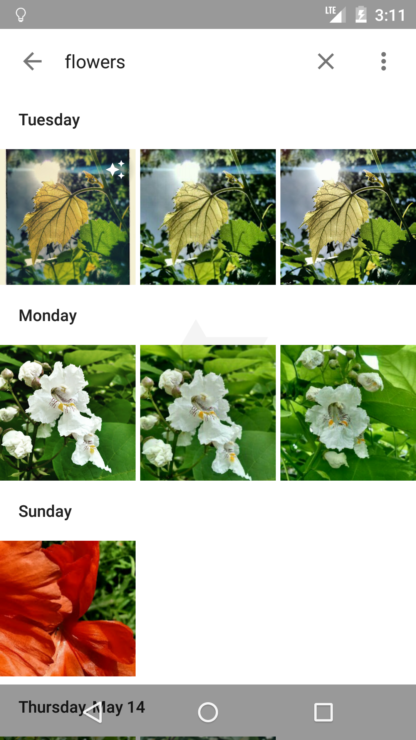 Google has been forever fond of neat animations and iteration in its apps and hence the legacy moves on in terms of viewing photos. 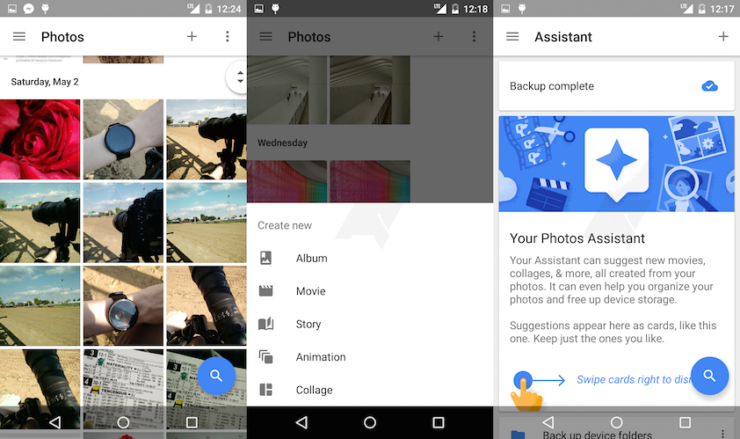 So lets move on and see what the leaked images suggest about further functionality of Google’s Photo App. By the look of these leaked images, we can judge that the interface is quite intuitive that enables users to navigate and edit photos easily. The Autoawesome feature has now been replaced by the Assistant that allows users to engage in creativity making albums collages, movies as well as apply various filters to the photo. Among controls, the Photos App offers gesture based commands like swipe to leave a photo or pinch to zoom functionality. It also cares selecting and dragging images in contrast to a specific operation as part of gestures to be used in the app. 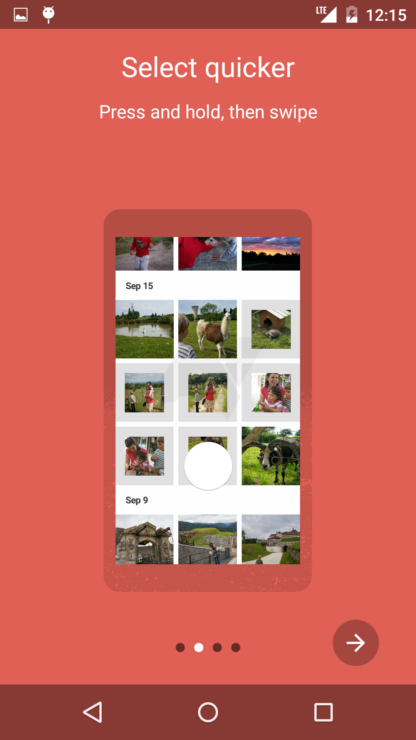 Photos in the app are managed and organized based on some aspects like time period, face matching and a tile layout that us users are already fond of a matching current album view in Google+ Web. Google did a great thing separating Photos App from Google+ which was present for easy sharing of photos but it lacked privacy. Speaking of Photo Sharing, Android Police reports that Photos would be shared with Facebook, Twitter and other social networking sites. All this can be done quite simply by selecting the photo you want to share and opening the menu then tapping Get Link. 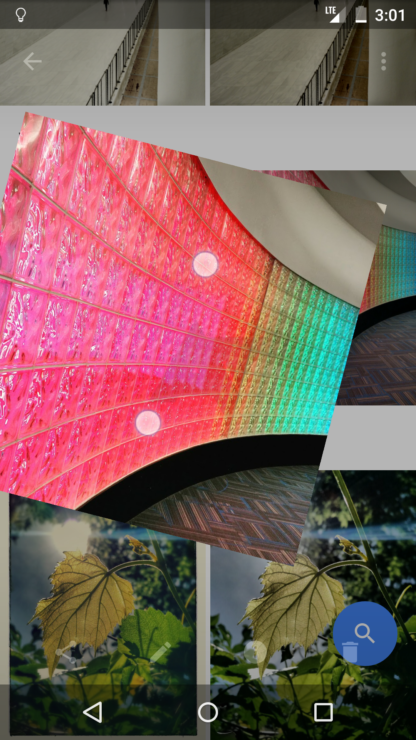 Users can then follow the link to view the photo. This is pretty cool. Even though the Photos App leak seems pretty much legitimate, there can always be novelty in the final release. So fingers crossed if the leak is true. As for now, do take a look at the images provided above for a better internal picture of the Photos App. Do share your thoughts with us in the comments section below, it is always good to hear your views.